It is sometimes interesting to reflect on how modern childhood will be viewed in 30 years. It certainly will be remembered as very different from the childhoods of decades ago. A virtually erasable digital footprint, spending increasing amounts of time online and dealing with a whole new form of peer pressure that relates to social media, will undoubtedly leave a mark on current childhood. When we visit schools throughout the country to talk to children about staying safe online, we regularly hear about the pressure children feel to be online and to share information with their friends digitally. As part of our Zeeko All Ireland Trend Report, released earlier this year, we asked primary school children what their favourite social media platform was. YouTube, Snapchat and Instagram proved the most popular platforms that children were using. So what happens if your child feels pressure from their peers to use social media sites? Peer pressure has been around for generations, however now in a digital age it is even more pervasive and can be very difficult for a child and indeed parents to navigate. Here are a few things to remember when dealing with peer pressure around social media. Most social network sites comply with the Children’s Online Privacy Protection Act (COPPA). Rather than collecting verifiable consent from parents for kids under 13, they simply restrict usage to those over 13 to avoid the issue. In many of our talks, the majority of kids have admitted to lying about their age to get around this when joining a platform. Respect on social media is a fundamental matter. 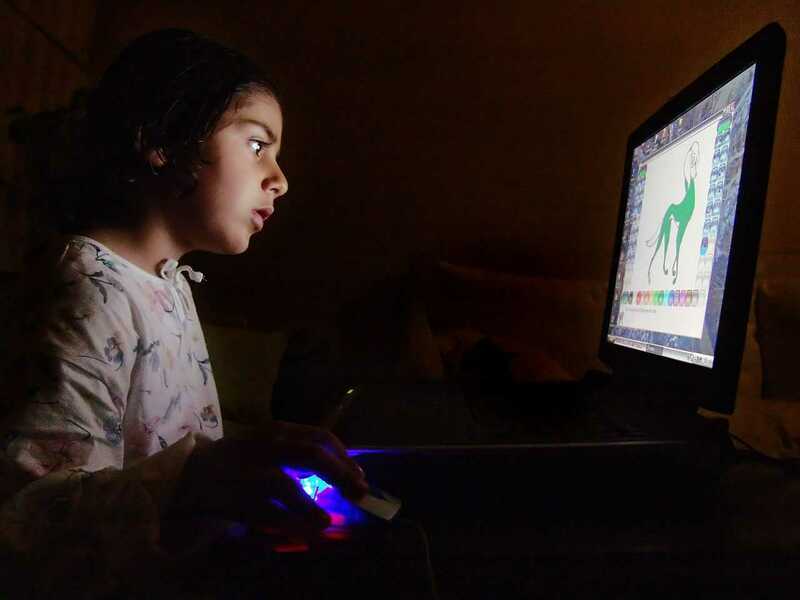 There is often a disconnection for children between real life and their digital world, which can cause them to do things online that they would never do in real life. Explain to your child that they should act on social media as they do in real life; with respect and dignity. It’s vital to speak to your child before they join any social media sites and talk about the potential risks. Educate them about responsible usage, what to do if they encounter any issues and discuss what platform might suit them best. We would always recommend that they start their social media journey with a child‐friendly app, which has appropriate safety settings and features. Familiarise yourself with the platform that your child is joining, and know its’ features and capabilities. Then sit down with your child to set up their profile, ensure that it is set to private so they are not visible to strangers, and that their profile does not contain any overly personal information or images which could leave them vulnerable. Sit down regularly with your child for them to show you around their profiles. This empowers them to work with you towards a safer social media experience, as opposed to against you. Try not to have a set time and day that you do it, as you run the risk of your child removing content, settings or friends that they don’t want you to see, if they know that you always check at a specific time. Keep track of your child’s password. You should be able to check it whenever you feel the need to, and a condition of them being on any social networks should be that they inform you of any password changes. Have a cut‐off time for social media and general phone use in the evening. In many respects peer pressure is a part of growing up. Remaining safe online and being sensible about their use of social media will help to empower your child as they negotiate the digital world. The Zeeko Internet Safety Guide offers more comprehensive advice on keeping your child safe online. You can buy a copy of the book here. We regularly update or social media channels and you can follow us on Facebook, Twitter and LinkedIn.